My 6th full-length CD is a collection of traditional and original Christmas carols celebrating the birth of our Savior, Jesus Christ. From the title track to the Brubeck inspired “Away In a Manger” in 5/4 time, this is sure to be a Christmas classic for fans of Dave Matthews & Brandon Heath. Dawson’s 6th full-length CD is a collection of traditional and original Christmas carols celebrating the birth of our Savior, Jesus Christ. Dawson’s distinctive guitar and vocal style is sure to make this a Christmas classic for fans of Dave Matthews, Brandon Heath. If you are tired of the same old Christmas recordings that sound like the same songs repeated over and over by different people then you will enjoy this CD. 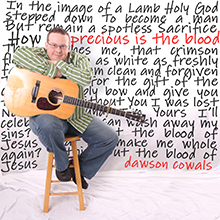 Dawson has taken several classic carols and reworked them in his style to bring a more modern influence to their sound. Favorite classic remakes include “Away In Five” which layers the classic carol “Away In A Manger” on top of the rhythmic feel of Brubeck’s masterpiece “Take Five”, and the rocking retelling of “We Three Kings” with additional lyrics that comprises “We’re Just Three Kings”. In addition to the recognizable classics Dawson has added several original tracks to the CD ranging from the title track, “Born Is The King” with its pulsing drums and celtic flute to “When Jesus Was Born” with its Beattlesque sounds. If you enjoy the music of Dave Matthews, John Mayer or Bebo Norman then this CD will make a great new addition to your Christmas season collection. The original version of this CD was released December 12, 2000 through MP3.com’s Digital Automatic Music program, but after they closed their doors this re-release was made available on December 5, 2003. The end result, though, is a higher quality, digitally remastered recording with better artwork and packaging. The new artwork contains all of the lyrics and a copy of the Christmas story as told by the Gospels of Matthew and Luke. This re-release version also features the bonus acoustic version of “O Come, All Ye Faithful.” The title track, “Born Is The King”, has seen incredible success since its initial release back in December of 2000. Featuring Dawson on acoustic guitar, vocals and flute this song weaves the Christmas story from the time of Christ’s birth through his death and resurrection. In its first month of release this song received more than 50,000 downloads on MP3.com, placing it #2 overall on their charts among more than a million other songs-ironically, just behind the recent Cynthia Basinet single “Santa Baby”. 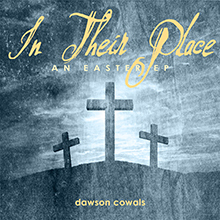 Since then it has continued to be one of the favored tracks from this CD, and is a definite showcase of Dawson’s diverse musical background and talents. From new to old the songs on this CD all share one common thread and purpose, to celebrate in song the true joy of Christmas: “…it is the night of our dear savior’s birth.” May you be blessed by these songs as you celebrate the miracle of Christmas this year. Merry Christmas! Mele Kalikimaka! Joyeux Noël!